China Airlines After the cancellation of dozens of ailrines out of Taiwan left thousands of passengers stranded during the busy Chinese Lunar New Year holiday, China Airlines on February 9 returned to negotiations with the Taoyuan Union of Pilots in hopes of ending a minor, yet ongoing strike that continues to make normal operations more difficult for the airline. The airline strike, which began in the early hours of the morning February 8, took place in response to the deterioration of talks the day prior, during which the union was fighting for improved working conditions for pilots, chiefly the fact that many already tired pilots were being required to work overtime hours. The union has asked for all flights over eight hours to be staffed with an extra pilot and for all flights exceeding 12 hours to be staffed with two extra pilots. China Airlines has responded to those demands, saying increasing the number of pilots to such an extreme degree from what they claim is a staffing level in line with international standards—would vastly increase labour costs and hurt the airline when compared to other competitors, chiefly hometown rival EVA Air. However, Taiwan’s transport ministry appears to be on the pilots’ side in these negotiations, as they search for simple improved working conditions. The Deputy Transport minister Wang Kwo-tsa told that the ministry’s views are in line with those of the pilots. After talks broke down, the transport ministry and transport minister Lin Chia-lung were forced to step in, encouraging the airline to return to the table for the sake of the passengers who were facing delays and cancellations as a result. The Senior officials of China Airlines should have listened to the voices of their employees and put aside their emotion to properly handle the labour dispute. Another Taipei-based airline, EVA Air, went through a process similar to this one recently, though the two parties were able to reconcile their demands before a strike began. As a result, many of the demands of the China Airlines pilot union mirror those of EVA’s pilots. The pilots have demanded a year-end bonus system similar to the one EVA pilots now enjoy in addition to a “more transparent” promotion structure. The longer talks go without a resolution, the more travelers will be punished, especially during the already busy Lunar New Year travel season, when flights to and from mainland China and Hong Kong will be increasingly utilized by families hoping to see each other and get home for the holiday season. 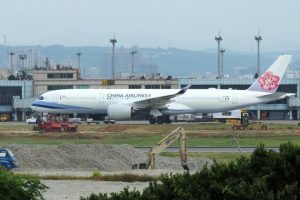 So while pilots and the airline continue to lock themselves in a stalemate, those on the outside continue to hope for a speedy resolution to get all of China Airlines’s planes back in the air as soon as possible.